Whether you're looking for a durable berber for high traffic areas, or a beautiful textured plush to help hide footprints, or a luxurious saxony for the master bedroom, you can be assure that we have exactly what you're looking for and stay within your budget. There's nothing like it. Carpet enhances the piece and quiet in your home by absorbing the sound. Depending on its density and weight, carpet contributes to the R-value of your home, adding to its energy efficiency and insulating your home from the cold and gives your feet a cushion of comfort. Joseph's Flooring's carpet color selection is endless, so finding that perfect shade is made that much easier. Carpet also helps in preventing slips and falls and aids in preventing an object from being damaged when dropped. The carpet color you choose for your home is a personal one. Joseph’s Flooring wants you to choose a color that will compliment your room’s decor. Lighter colors make your room appear more open and larger, while darker colors make your room feel cozy. The technologies today make lighter color carpet easier to clean. What does that mean for you? It allows for more decorating options. 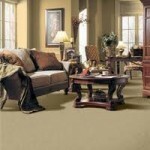 Darker colored carpet, in addition to, berbers and textures, help disguise everyday common soil in your home. We carry a full selection of textures, saxonies, multicolor, sculptures, berbers, commercial carpeting, and many fine elegantly designed and crafted carpets. Our knowledgeable sales staff will assist you with the preferred fiber for your application (nylon, polyester, olefin, wool, and the new SmartStrand) and recommend the best carpet and cushion system to assure you the ultimate performance. Under our Flooring Network label you will find carpeting by Mohawk, Milliken, Alladin, Customweave, Gulistan, Shaw, Queen, Tuftex of California, Kraus, Couristan, Beaulieu, Dixie Home, American Berber and much more. As a Flooring Network retailer we will make sure that you are prepared for the installation of your new carpet by providing you with our pre-installation check list to avoid any surprises. Our professional installation package is offered with every sale we make. However, if you're the do-it-yourself type, we will be more than happy to assist you in any way we can to make your job easier. Customer service is the benchmark of our business, therefore we are eager to assist you by giving you tips on the proper maintenance and care of your new carpeting to assure you the ultimate performance. The cushion you choose for under your carpet is important. Carpet cushion makes a carpet feel better and look better longer. When choosing a carpet bring upholstery and drapery samples along while you shop to insure your carpet choice achieves your desired look. We at Joseph's Flooring take it one step further and allow you to bring samples to your home. Let's face it; lighting in any showroom is much different than the type and amount of light your room gets. That will have an influence on what the color of the carpet will actually look like.